What is a VOC? 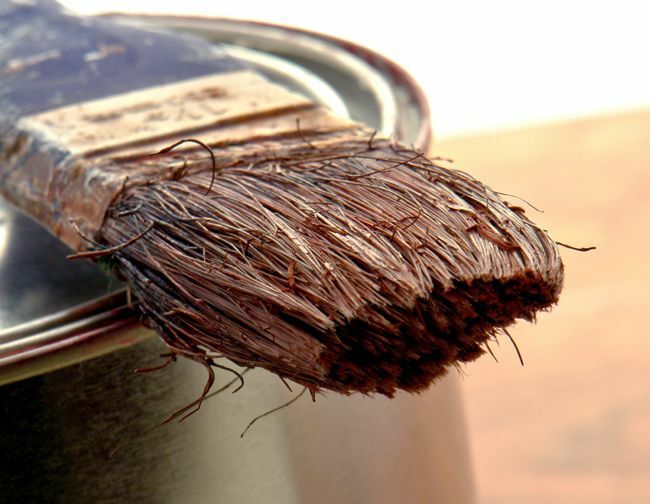 Understanding VOCs in paint. What is a VOC? The new year always brings new projects. The Christmas season is over and there is again time to think about finishing those old projects or starting some new ones. I get asked the VOC question quite often, and the answer is fairly straightforward. Where it becomes tricky is explaining how they affect your home and indoor environment, because there are so many things that are considered a VOC. To begin, VOC is short for Volatile Organic Compound. Chemically speaking, VOCs are organic materials that turn to vapor at room temperature. This part is simple. A VOC has a boiling point lower than the temperature of your room, so it is constantly turning from solid to gas, or offgassing, and doing so for as long as any trace of it remains in your home. This can be a while, especially if there are high amounts, or if your home is not well ventilated. VOCs became an issue several years ago when studies showed that smog and air pollution were not exclusively caused by cars and factories, but to a large extent by chemicals offgassing from homes. This became particularly relevant when EPA studies showed that levels of VOCs in the home were 3-5 times higher than even outdoor air in a polluted city. In spite of the scary name, not all VOCs are considered harmful, and are only an issue if you have a sensitivity or allergy to the specific compound. Examples of this are natural plant oils such as orange oil and tung oil. Unfortunately though, many VOCs are considered to be harmful, and linked to health issues ranging from cancers and leukemia to respiratory problems, headaches, issues with the nervous and endocrine systems, and so on. Are we being protected from harmful chemicals? Yes, sort of. VOCs are regulated, and government standards are becoming more strict. To some extent this is helpful, but regulation is difficult because illnesses caused by indoor chemicals and VOCs are generally due to compounding effects of long-term exposure at very low levels. This makes it hard to pinpoint which chemical causes what. And health issues are caused by exposure to a variety of pollutants. It is also difficult to regulate the difference between the harmful and non-harmful VOCs. Are you ready to find a non-toxic paint for your next project? VOCs in paint. Understanding the issues. 2. Smell isn’t everything. Smell is important, but there are masking agents that can be added to cover up chemical smells. Pay attention to how you feel around your paints. Do you get headaches? Joint pain? Dizzyness? Cloudiness? 3. Some VOCs aren’t considered harmful. A paint or stain made from natural plant oils will often show higher levels of VOC than a synthetic, petroleum based product. It will be up to you to decide what you are more comfortable with, and what suits your sensitivities. 4. VOCs aren’t the only issue. This makes things tricky, but this point is an important one. There are many other chemical compounds that can be harmful or carcinogenic that aren’t classified as VOCs. Make sure to ask. Fortunately, there are many good options. We have had great results with our Mythic and Yolo paints. We have yet to have a chemically sensitive customer have an issue using either line. This is true even of people who have reacted to zero/low VOC lines from other companies. Having positive feedback from these coal-mine canaries makes me confident that the companies are doing what they say they are doing. At the end of the day, even all the research we do can’t compare to this type of testing. Natural products are also a great option. We love the clay plasters and milk paints and are hoping to expand our lineup to have more of these options. 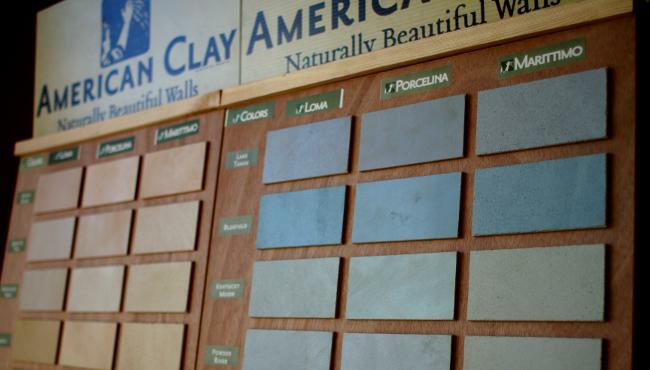 American Clay, for example, has three ingredients: Clay, Aggregate (either marble dust or crushed oyster shells, depending on which finish you pick) and earth pigments. No trade secrets or proprietary information. Not much to be concerned about. What is a VOC? Make the healthy choice.